In today’s workplace environment, there is increasing pressure for employees to sign noncompete agreements. Depending on a state’s laws or noncompete jurisprudence, these agreements may or may not be enforceable, regardless of the presence of overbroad language that may be harmful to employees. As employers seek to protect their business interests, more businesses are using noncompete agreements to assert control over employees at all levels of the business employment structure. This means that these agreements will restrict the mobility of even low-wage employees, unless otherwise stated. Litigators desiring an appeal must first receive a trial-court ruling. The specificity of trial-court rulings has recently caused problems for some in Arkansas’s appellate courts, and litigators would be wise to understand the current state of the law on this topic. 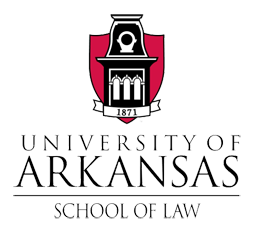 Land Use Impact Fees: Does Koontz v. St. Johns River Water Management District Echo an Arkansas Philosophy of Property Rights? Food waste and food insecurity are both very real and very large problems in the United States. Nonprofit organizations have identified these problems and have attempted to address them through food recovery. However, the perceived threat of liability has prevented many potential food donors from participating in these programs. State governments sought to encourage food recovery efforts by providing varying degrees of liability protection to those participating in food recovery efforts. However, the varied approaches by the states failed to provide the uniformity and certainty that businesses desire. This essay, written for readers unfamiliar with the details of American health law and policy, portrays the essential features of the battle for health reform in the United States and of the law that survived the battle: the Patient Protection and Affordable Care Act (PPACA). The essay summarizes key aspects of the U.S. health care system and how it compares in terms of costs and results with other advanced nations’ systems. Search Incident to an Arrest or a Stop: Has the United States Supreme Court Brought Clarity to a Problematic Area of the Court’s Jurisprudence?